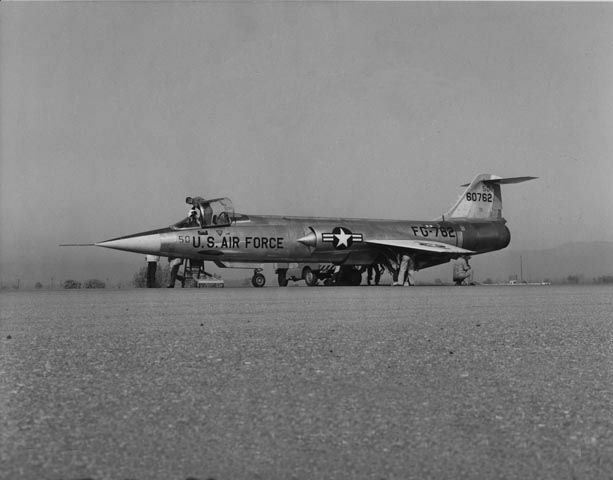 17 April 1956: Lockheed Aircraft Corporation rolled out the very first production F-104A Starfighter, 55-2956, at Air Force Plant 42, Palmdale, California. 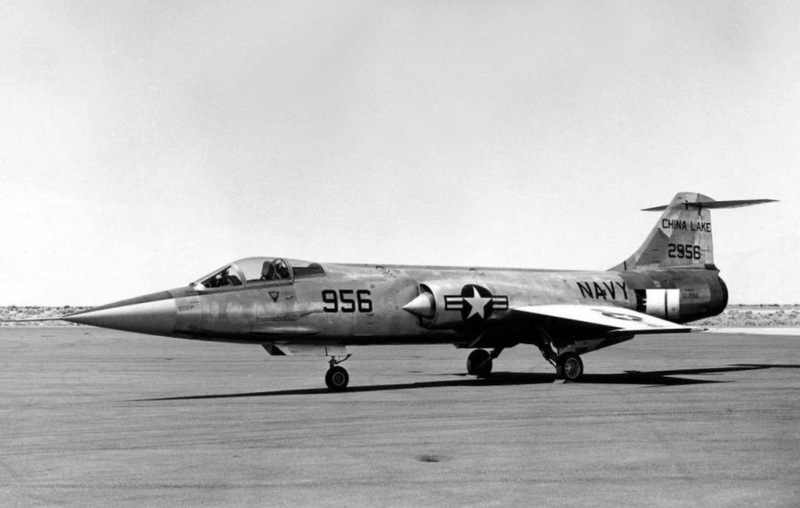 This airplane, one of the original seventeen pre-production YF-104As, incorporated many improvements over the XF-104 prototype, the most visible being a longer fuselage. 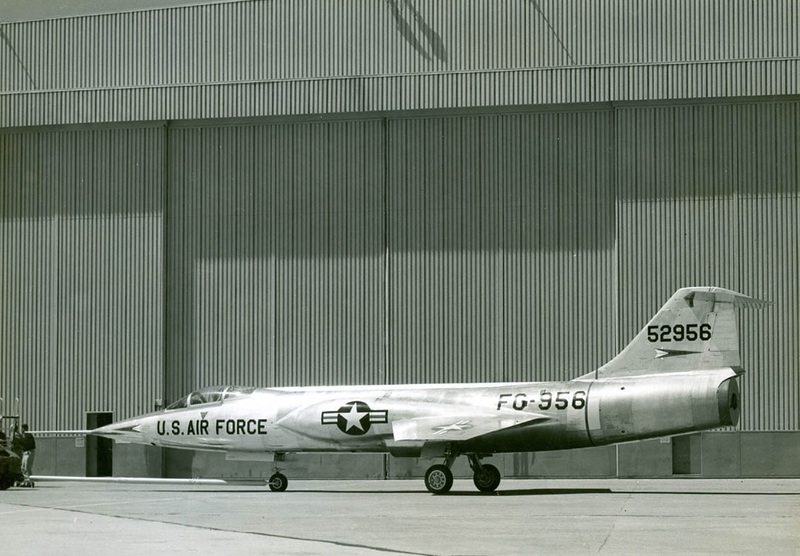 Once the configuration was finalized, 55-2956 was the first YF-104A converted to the F-104A production standard. In this photograph, the F-104’s secret engine intakes are covered by false fairings. 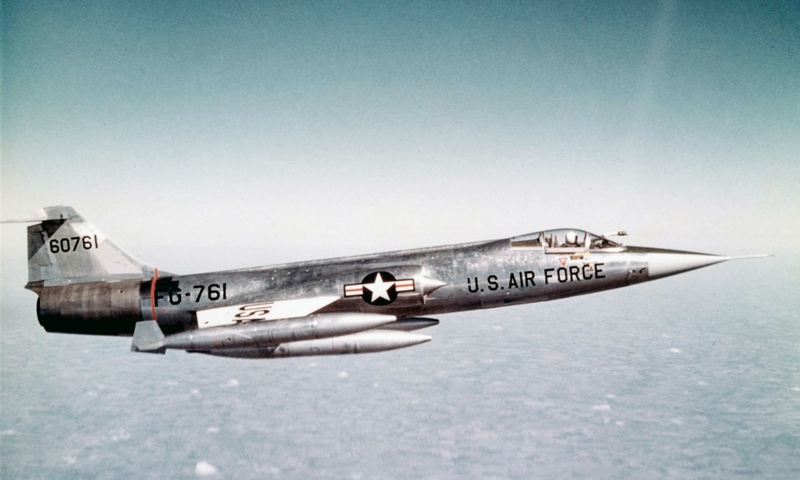 The Lockheed F-104A Starfighter was a single-place, single-engine supersonic interceptor. It was designed by a team lead by the legendary Clarence L. “Kelly” Johnson. The F-104A was 54 feet, 8 inches (16.662 meters) long with a wingspan of 21 feet, 9 inches (6.629 meters) and overall height of 13 feet, 5 inches (4.089 meters). It had an empty weight of 13,184 pounds (5,980.2 kilograms), combat weight of 17,988 pounds (8,159.2 kilograms), gross weight of 22,614 pounds (10,257.5 kilograms) and a maximum takeoff weight of 25,840 pounds (11,720.8 kilograms). Internal fuel capacity was 897 gallons (3,395.5 liters). The F-104A was powered by a single General Electric J79-GE-3A engine, a single-spool axial-flow afterburning turbojet, which used a 17-stage compressor and 3-stage turbine. The J79-GE-3A is rated at 9,600 pounds of thrust (42.70 kilonewtons), and 15,000 pounds (66.72 kilonewtons) with afterburner. The engine is 17 feet, 3.5 inches (5.271 meters) long, 3 feet, 2.3 inches (0.973 meters) in diameter, and weighs 3,325 pounds (1,508 kilograms). 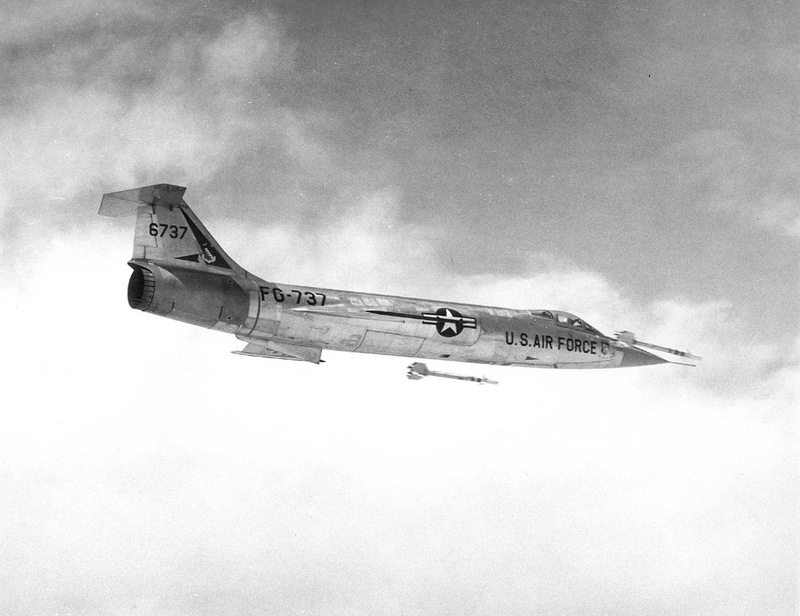 The F-104A had a maximum speed of 1,037 miles per hour (1,669 kilometers per hour) at 50,000 feet (15,240 meters). Its stall speed was 198 miles per hour (319 kilometers per hour). The Starfighter’s initial rate of climb was 60,395 feet per minute (306.8 meters per second) and its service ceiling was 64,795 feet (19,750 meters). Armament was one General Electric M61 Vulcan six-barreled revolving cannon with 725 rounds of 20 mm ammunition. An AIM-9B Sidewinder heat-seeking air-to-air missile could be carried on each wing tip, or a jettisonable fuel tank with a capacity of 141.5 gallons (535.6 liters). Lockheed built 153 of the F-104A Starfighter initial production version. A total of 2,578 F-104s of all variants were produced by Lockheed and its licensees, Canadair, Fiat, Fokker, MBB, Messerschmitt, Mitsubishi and SABCA. 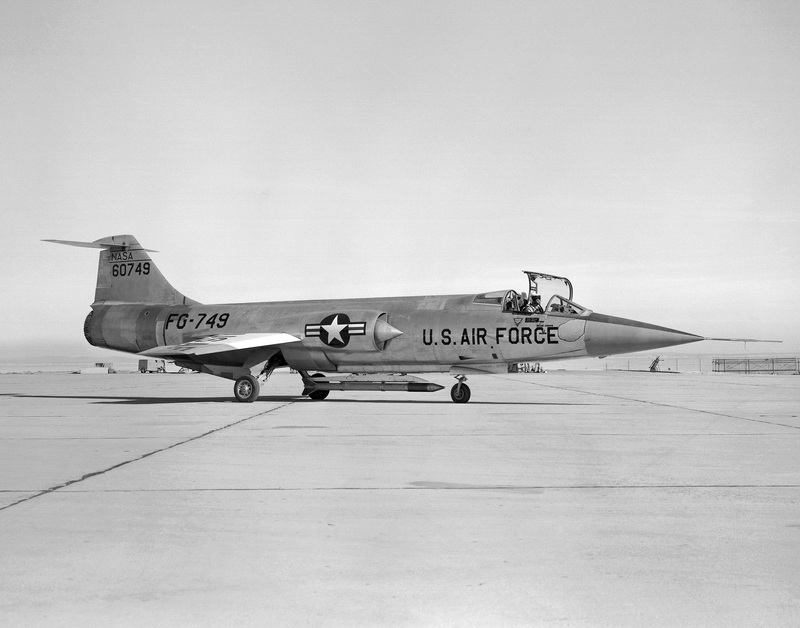 By 1969, the F-104A had been retired from service. The last Starfighter, an Aeritalia-built F-104S ASA/M of the Aeronautica Militare Italiana, was retired in October 2004. 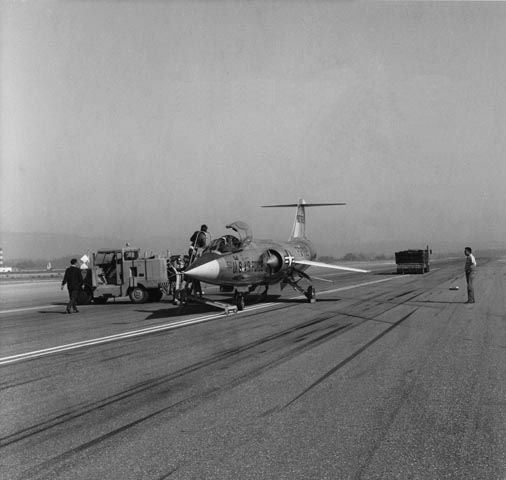 This Starfighter, 55-2956, was converted to a JF-104A with specialized instrumentation. It was transferred to the U.S. Navy to test AIM-9 Sidewinder missiles at Naval Ordnance Test Station (NOTS) China Lake, approximately 55 miles (88 kilometers) north-northeast of Edwards Air Force Base in the high desert of Southern California. 55-2956 was damaged beyond repair when it lost power on takeoff and ran off the runway at Armitage Field, 15 June 1959. 20 December 1962: Milton Orville Thompson, a NASA test pilot assigned to the X-15 hypersonic research program, was conducting a weather check along the X-15’s planned flight path from Mud Lake, Nevada, to Edwards Air Force Base in California, scheduled for later in the day. 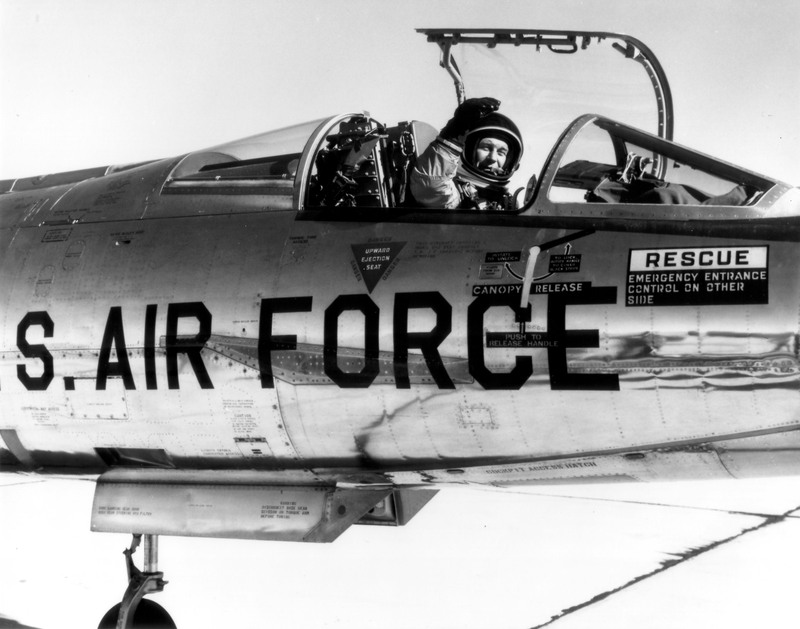 Thompson was flying a Lockheed F-104A-10-LO Starfighter, Air Force serial number 56-749, call sign NASA 749. 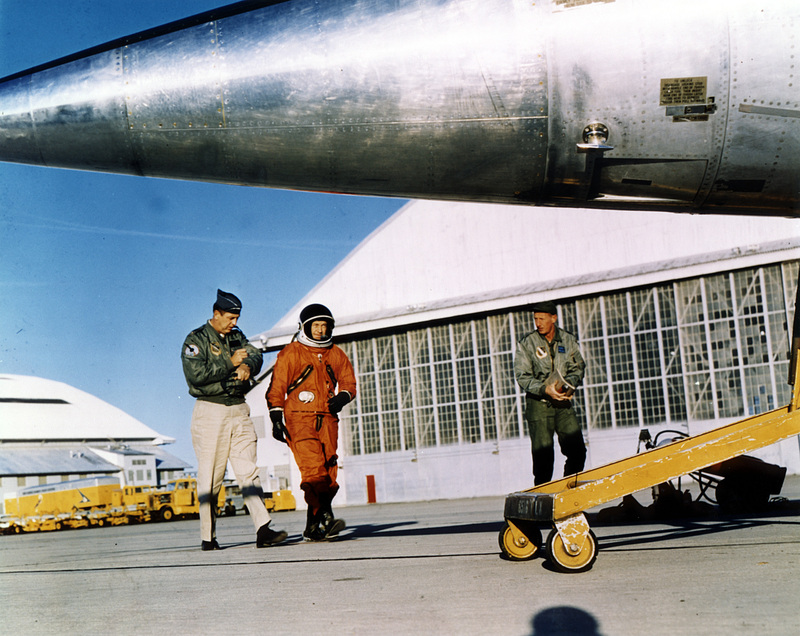 Completing the weather reconnaissance mission, and with fuel remaining in the Starfighter’s tanks, Milt Thompson began practicing simulated X-15 approaches to the dry lake bed. X-15 pilots used the F-104 to practice landing approaches. 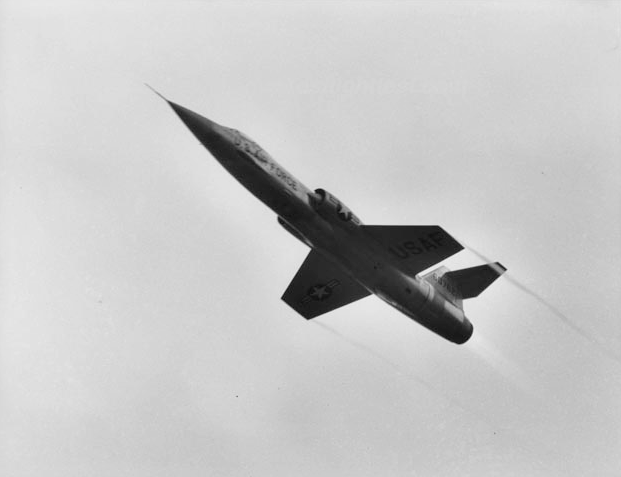 The two aircraft were almost the same size, and with speed brakes extended and the flaps lowered, an F-104 had almost the same lift-over-drag ratio as the X-15 in subsonic flight. Thompson’s first approach went fine and he climbed back to altitude for another practice landing. 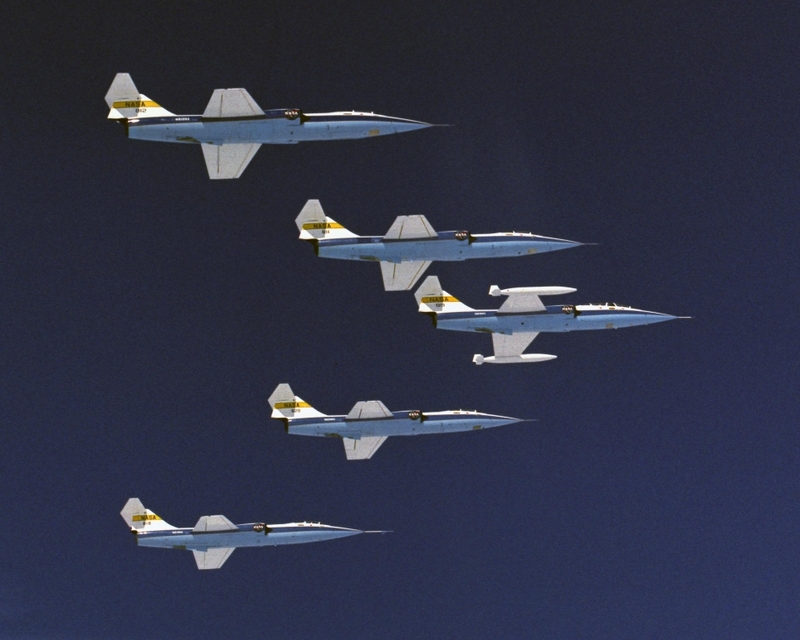 When Milt Thompson extended the F-104’s flaps for the second simulated X-15 approach, he was at the “high key”— over Rogers Dry Lake at 35,000 feet (10,668 meters) — and supersonic. As he extended the speed brakes and lowered the flaps, NASA 749 began to roll to the left. With full aileron and rudder input, he was unable to stop the roll. Adding throttle to increase the airplane’s airspeed, he was just able to stop the roll with full opposite aileron. Thompson found that he could maintain control as long as he stayed above 350 knots (402 miles per hour/648 kilometers per hour) but that was far too high a speed to land the airplane. He experimented with different control positions and throttle settings. He recycled the brake and flaps switches to see if he could get a response, but there was no change. He could see that the leading edge flaps were up and locked, but was unable to determine the position of the trailing edge flaps. He came to the conclusion that the trailing edge flaps were lowered to different angles. I told him the symptoms of my problem and he decided that I had a split trailing edge flap situation with one down and one up. He suggested I recycle the flap lever to the up position to attempt to get both flaps up and locked. I had already tried that, but I gave it another try. Joe asked if I had cycled the flap lever from the up to the takeoff position and then back again. I said no. I had only cycled the flap lever from the up position to a position just below it and then back to the up position. Joe suggested we try it his way. I moved the flap lever from the up position all the way to the takeoff position and then back to the up position. As soon as I moved the lever to the takeoff position, I knew I had done the wrong thing. The airplane started rolling again, but this time I could not stop it. The roll rate quickly built up to the point that I was almost doing snap rolls. Simultaneously, the nose of the airplane started down. I was soon doing vertical rolls as the airspeed began rapidly increasing. I knew I had to get out quick because I did not want to eject supersonic and I was already passing through 0.9 Mach. I let go of the stick and reached for the ejection handle. I bent my head forward to see the handle and then I pulled it. Things were a blur from that point on. —At the Edge of Space: The X-15 Flight Program, by Milton O. Thompson, Smithsonian Institution Press, Washington and London, 1992. Chapter 5 at Pages 119–120. 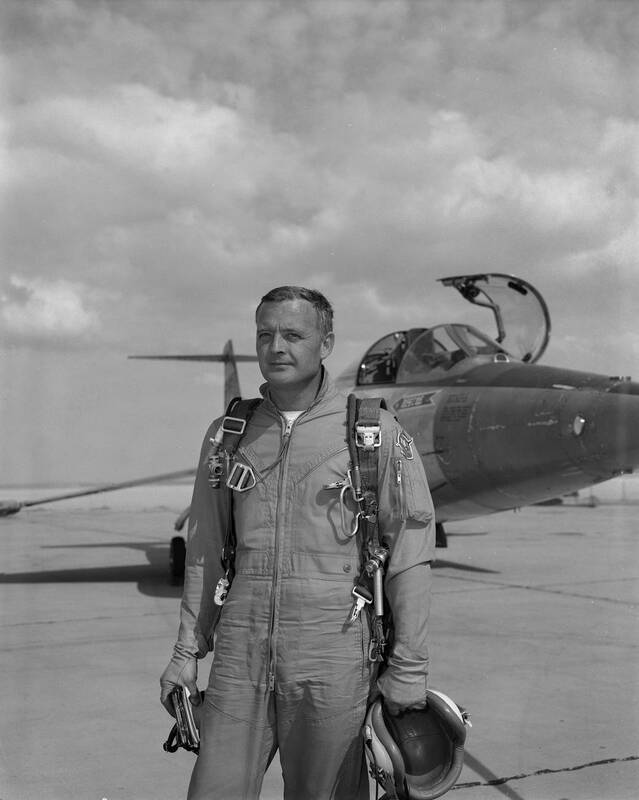 13 December 1958: First Lieutenant Einar Knute Enevoldson, U.S. Air Force, set seven Fédération Aéronautique Internationale (FAI) time-to-climb records in a Lockheed F-104A-10-LO Starfighter, serial number 56-762,¹ at Naval Air Station Point Mugu (NTD) (located on the shore of southern California), including Sea Level to 3,000 meters (9,843 feet) in 41.85 seconds; 6,000 meters (19,685 feet) in 58.41 seconds; 9,000 meters (29,528 feet) in 1 minute, 21.14 seconds; 12,000 meters (39,370 feet) in 1 minute, 39.90 seconds; 15,000 meters (49,213 feet) in 2 minutes, 11.1 seconds; 20,000 meters (65,617 feet) in 3 minutes, 42.99 seconds; and 25,000 meters (82,021 feet) in 4 minutes, 26.03 seconds. 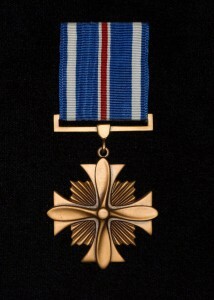 Lieutenant Enevoldson was awarded the Distinguished Flying Cross for these accomplishments. 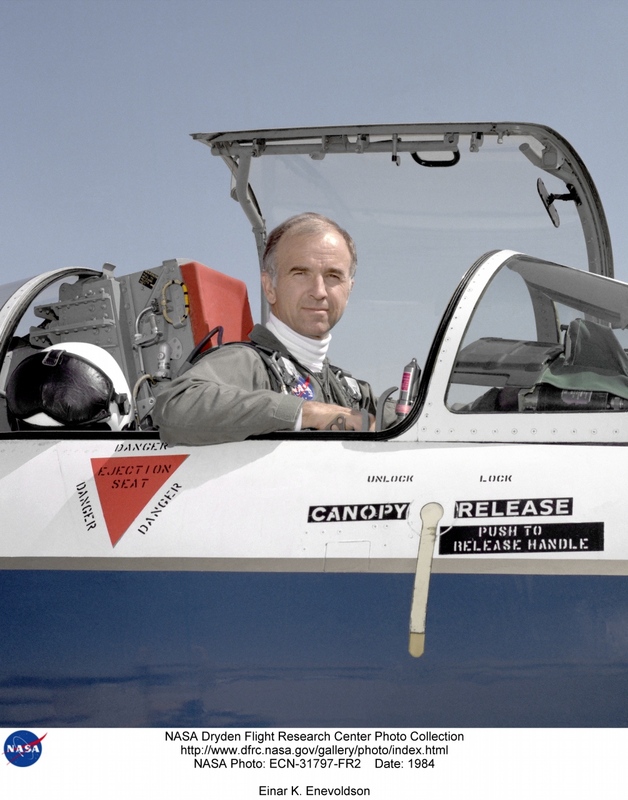 Einar Enevoldson later flew as a civilian test pilot for NASA from 1968 to 1986 and was awarded the NASA Exceptional Service Medal. He holds numerous FAI world records. ¹ 56-762 was one of three F-104As later converted to an NF-104A rocket/turbojet Advanced Aerospace Trainer. 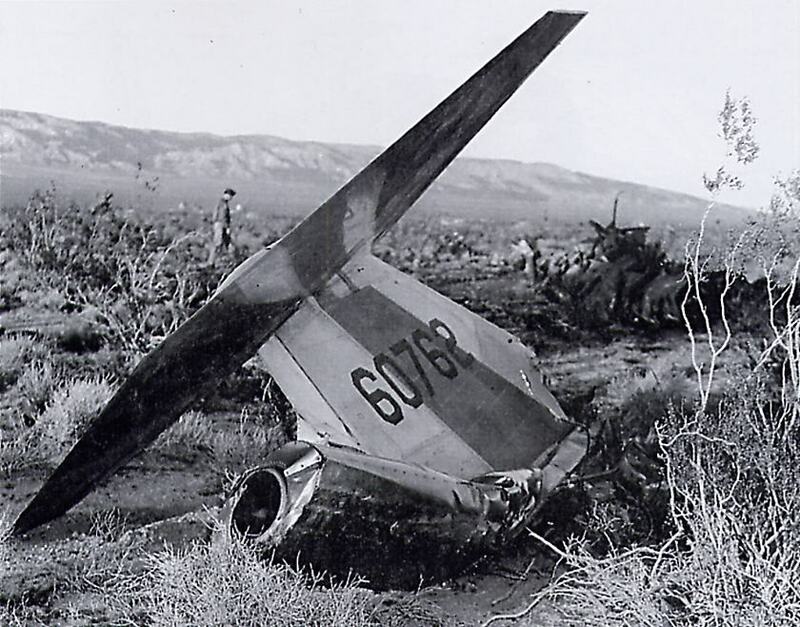 It is the same Starfighter that crashed when Chuck Yeager had to eject after it went into an uncontrolled spin during a zoom-climb altitude record attempt, 10 December 1963. 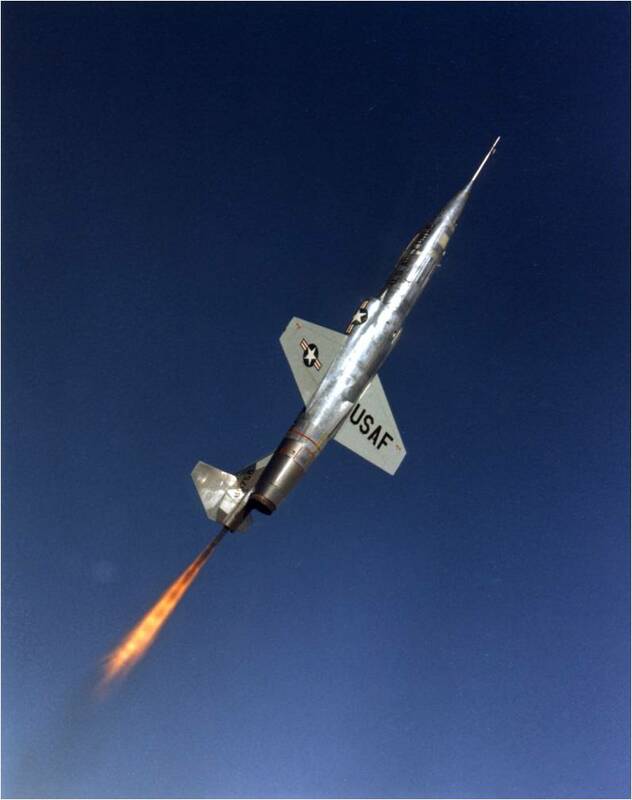 10 December 1963: In an attempt to set a world absolute altitude record, Colonel Charles E. (“Chuck”) Yeager, U.S. Air Force, took a Lockheed NF-104A Starfighter Aerospace Trainer, 56-0762, on a zoom climb profile above 100,000 feet (30,480 meters) at Edwards Air Force Base, in the high desert of southern California. This was Colonel Yeager’s fourth attempt at the record. 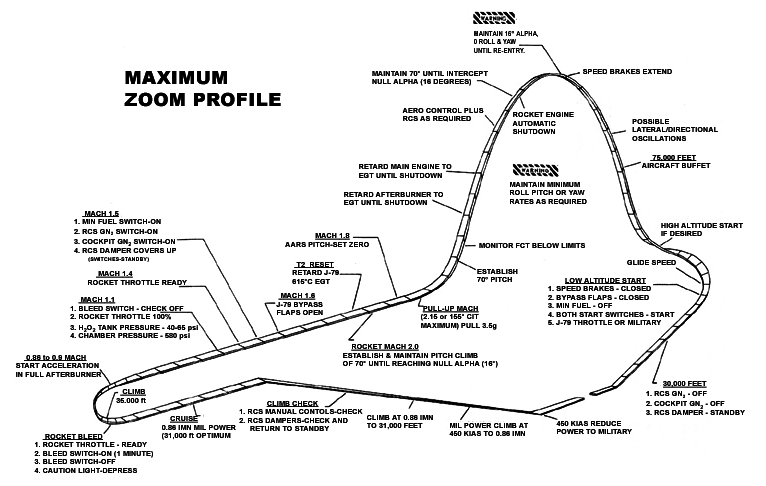 The zoom climb maneuver was planned to begin with the NF-104A in level flight at 0.85 Mach and 35,000 feet (10,668 meters). The pilot would then accelerate in Military Power and light the afterburner, which increased the J79 turbojet engine’s 9,800 pounds of thrust (43.59 kilonewtons) to 15,000 pounds (66.72 kilonewtons). The modified Starfighter was to continue accelerating in level flight. On reaching Mach 2.2, the Colonel Yeager would ignite the Rocketdyne AR2–3 rocket engine, which burned a mixture of JP-4 and hydrogen peroxide to produce 6,600 pounds of thrust (29.36 kilonewtons). When the AST reached Mach 2.5, Yeager was to begin a steady 3.5G pull-up until the interceptor was in a 70° climb. At 75,000 feet (22,860 meters), he would shut off the afterburner to avoid exceeding the turbojet’s exhaust temperature (EGT) limits. Yeager would then gradually reduce the jet engine power to idle by 85,000 feet (25,908 meters), and then shut it down. Without the engine running, cabin pressurization would be lost and his A/P22S-2 full-pressure suit would inflate. The NF-104A would then continue to zoom to an altitude where its aerodynamic control surfaces were no longer functional. It had to be controlled by reaction jets in the nose and wing tips. The pilot had to use the reaction control thrusters to pitch the AST’s nose down before reentering the atmosphere, so that it would be in a -70° dive. The windmill effect of air rushing into the intakes was used to restart the jet engine. The 10 December flight did not proceed as planned. Chuck Yeager reached a peak altitude of approximately 108,000 feet (32,918 meters), nearly two miles (3.2 kilometers) lower than the record altitude set by Major Robert W. Smith just four days earlier. On reentry, Yeager had the Starfighter incorrectly positioned with only a -50° nose-down pitch angle, rather than the required -70°. 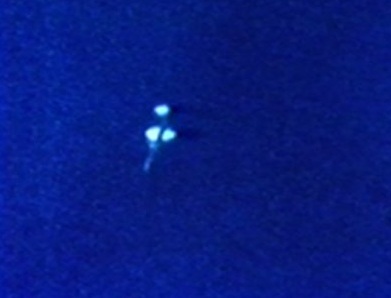 The Starfighter entered a spin. Without air flowing through the engine intakes because of the spin, Yeager could not restart the NF-104’s turbojet engine. Without the engine running, he had no hydraulic pressure to power the aerodynamic flight control surfaces. He was unable to regain control the airplane. 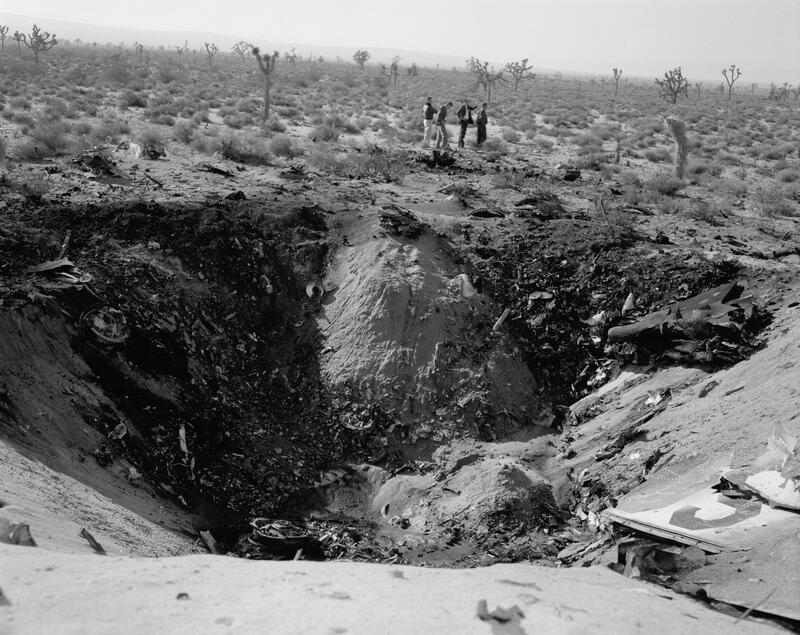 Yeager rode the out-of-control airplane down 80,000 feet (24,384 meters) before ejecting. — Yeager, An Autobiography, by Brigadier General Charles E. Yeager, U.S. Air Force (Retired) and Leo Janos, Bantam Books, New York, 1985, at Pages 279–281. 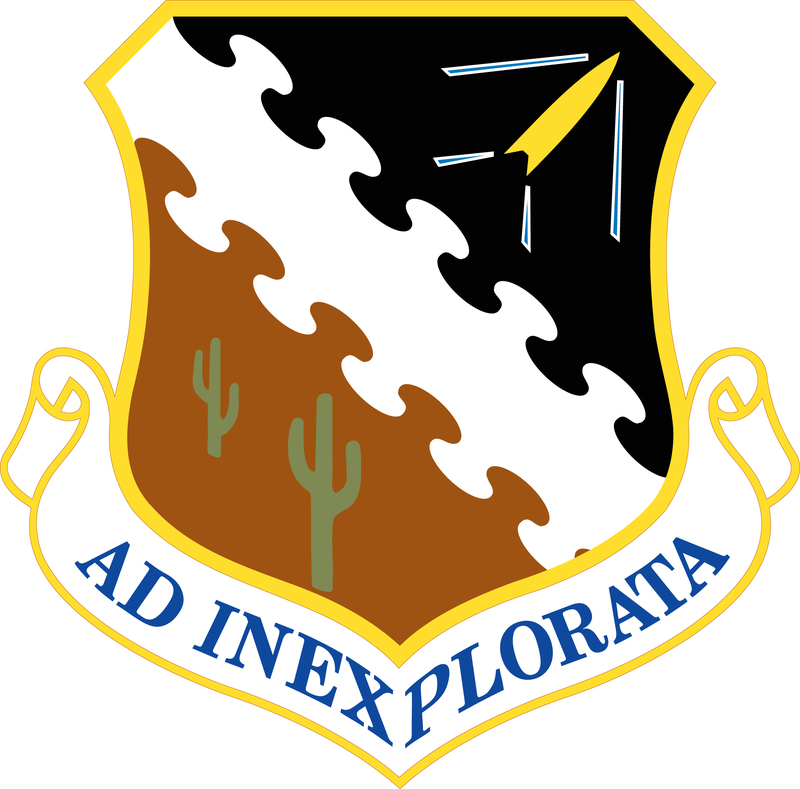 NF-104A 56-762 crashed at N. 35° 7′ 25″, W. 118° 8′ 50″, about one mile (1.6 kilometers) north of the intersection of State Route 14 and State Route 58, near California City. The airplane was completely destroyed. Chuck Yeager was seriously burned by the ejection seat’s internal launch rocket when he was struck by the seat which was falling along with him. 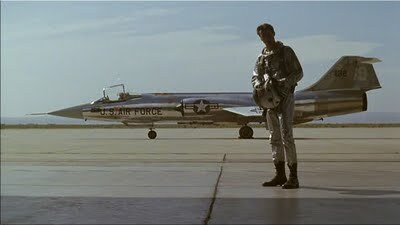 This incident was dramatized in the 1983 movie, “The Right Stuff,” (based on Tom Wolfe’s book of the same title), with Yeager portrayed by actor Sam Shepard. 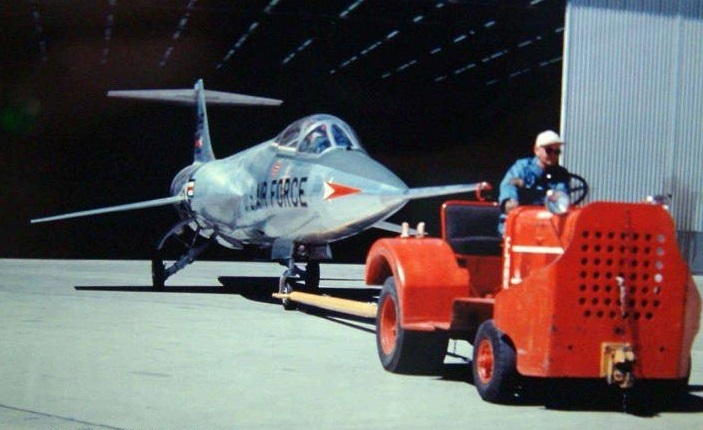 56-762 was a Lockheed F-104A-10-LO Starfighter, one of three taken from storage at The Boneyard at Davis-Monthan Air Force Base, Tucson, Arizona, and sent to Lockheed for modification to Aerospace Trainers (ASTs). These utilized a system of thrusters for pitch, roll and yaw control at altitudes where the standard aerodynamic control surfaces could no longer control the aircraft. This was needed to give pilots some experience with the reaction control system for flight outside the Earth’s atmosphere. The F-104A vertical fin was replaced with the larger fin and rudder from the two-place F-104B for increased stability. The wings were lengthened for installation of the Reaction Control System. The fiberglass nosecone was replaced by an aluminum skin for the same reason. The interceptor’s radar and M61 Vulcan cannon were removed and tanks for rocket fuel and oxidizers, nitrogen, etc., installed in their place. 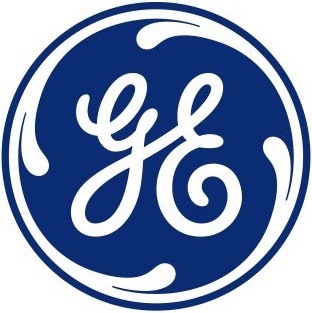 The standard afterburning General Electric J79-GE-3B turbojet engine remained, and was supplemented by a Rocketdyne AR2–3 liquid-fueled rocket engine which produced 6,600 pounds of thrust (29.36 kilonewtons) for up to 100 seconds. 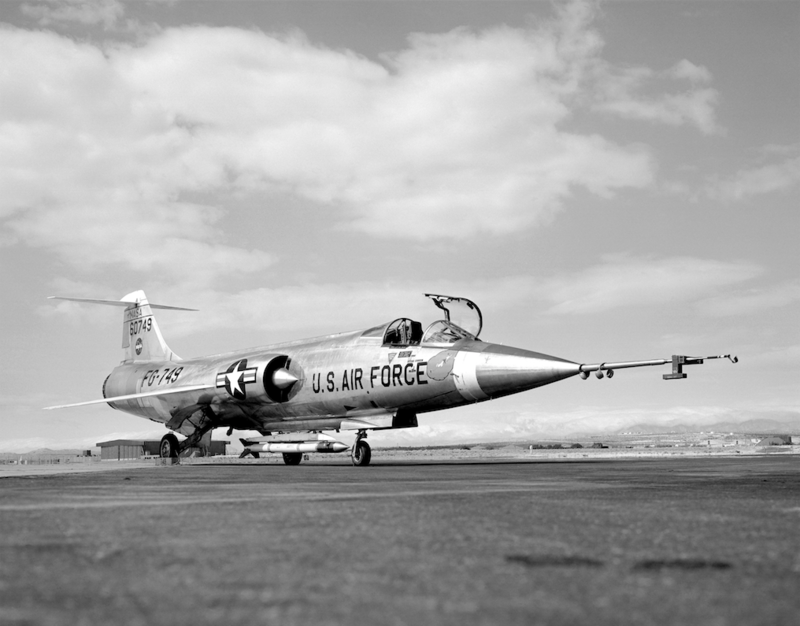 On 13 December 1958, prior to its modification to an AST, Lockheed F-104A-10-LO Starfighter 56-762 was flown by 1st Lieutenant Einar K. Enevoldson, USAF, to seven Fédération Aéronautique Internationale (FAI) time-to-altitude world records at Naval Air Station Point Mugu, Californa (NTD).